Well, I decided to sign up for facebook and twitter over the weekend. KT Merry and Sara Roeder both convinced me to get signed up : ) . My sister Liz, will be helping me run my twitter and facebook accounts. Liz does all of the sewing for my online shop, so she is very knowledgeable as to what is going on. 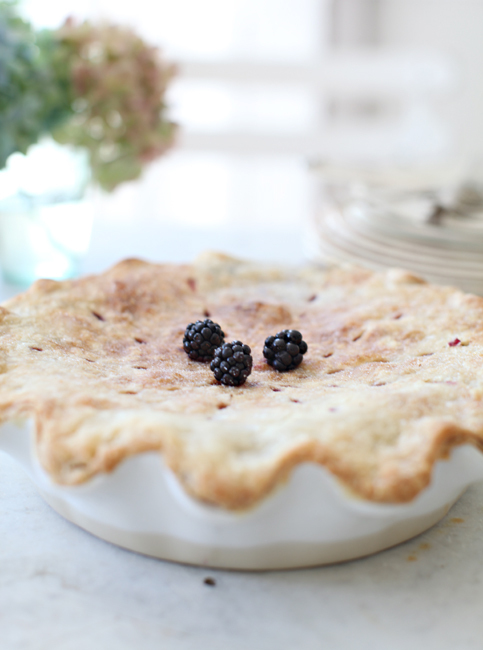 We are in the middle of blackberry season here, so we picked some blackberries on the ranch to make blackberry pie. Mix all ingredients together and add to an unbaked pastry shell. The recipe for the pie crust is a recipe my mom has used ever since I can remember. I have tried so many different pie recipes and really this one is my favorite. You can adjust it according to your needs. Even with having just five kids, I always make the full recipe. divide into six sections, and refrigerate for at least two hours. Roll out another layer of dough and place over the top of the berries. Pinch the two layers of dough together. Be sure and cut in air pockets, and I also like to sprinkle a little sugar on the top of my crusts before putting them into the oven. I always loosely cover the edges of my pie crust with aluminum foil to prevent burning. I take the foil off the last 5 minutes of baking. My favorite dish to use for baking pies in is the Emile Henry brand. I really love using their bakeware. 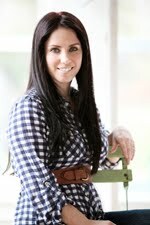 If you would like to read more about Emile Henry and why their bakeware is so special, you can do so by clicking here. 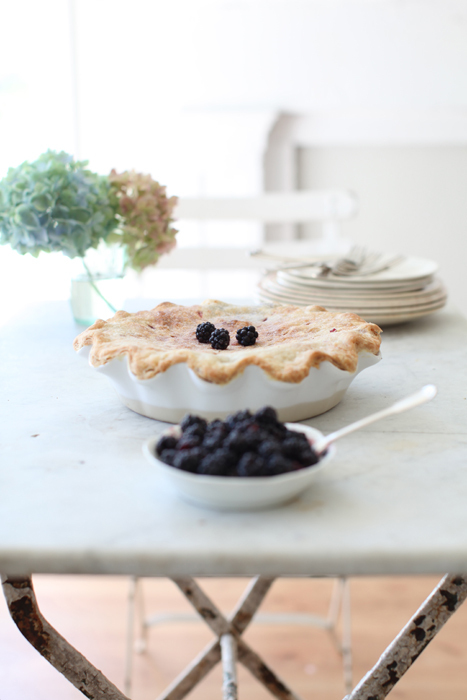 Do you have something you love to bake in the summertime? If so please feel free to link to a recipe from your blog in my comment section. We are headed to the fair this week. 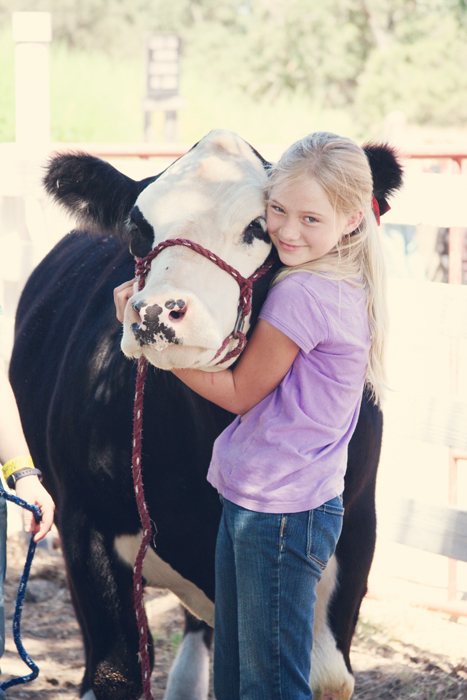 I had to share a picture of Bethany with her steer from last year. Bethany had grand champion 4-H steer last year. I probably won't be back until next week. an article about recycling architectural salvage. One lucky winner will be getting the last camera bag, before Jeanne's new fall collection comes out. I won't be adding any new items until the beginning of next week. Hi Maria! Your children are so cute!! :-) I have to try this pie... looks so yummy!!! Spectacular & yummy!!! I love using Emile Henry for my bakeware needs! In fact, I have that same pie dish!!! ;) Thanks for another lovely post! I'll look for you on Facebook and Twitter!!!! Wow your children are beautiful. I don't know how you take pics of anything else but them! Thanks for the recipe Looks yummy..
those looks so good maria. i am not a baker. that recipe does seem pretty easy though, maybe i should start. have a good week at the fair. You can do Facebook and Twitter! No worries! The photo of your son with his blackberry stained hands is the best! Have fun at the fair!! It looks like a delicious recipe but I'm confused by the it (sorry! )...divide into 6 sections?? Does that mean it makes 3 pies? So, 2 sections per pie? Help! Thanks! If you are making pies that require a pre-baked pastry shell, it will make 6 single crust pies. What a delish looking pie! I love the picture with the cow... precious! Oh my goodness.. 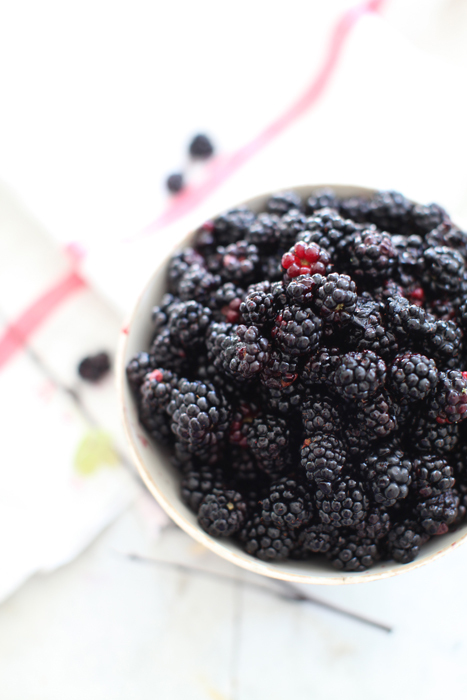 I JUST posted about blackberries, too!! Your pie looks SO delicious.. I could eat all the crust off the top.. I have shamelessly done that before once.. I love the crust mixed with the smashed berries! And I need one of those pie plates - so pretty! Your daughter looks so cute in that pic! I can't wait for our local fair.. it's in Sandwich, IL in a early September. As always.. you take the best pics.. so dreamy! Have a nice week!! Good luck at the fair! The pie looks delicious and your photos are gorgeous as usual. Your kids are adorable. Have fun at the fair! Your pie looks delicious! I will be trying your recipe soon. We had a bunch of peaches and strawberries that a heighbor had given us, so over the weekend I used them and made a really good fruit cobbler. Love Emile Henry bakeware! The pie looks simply delicious! 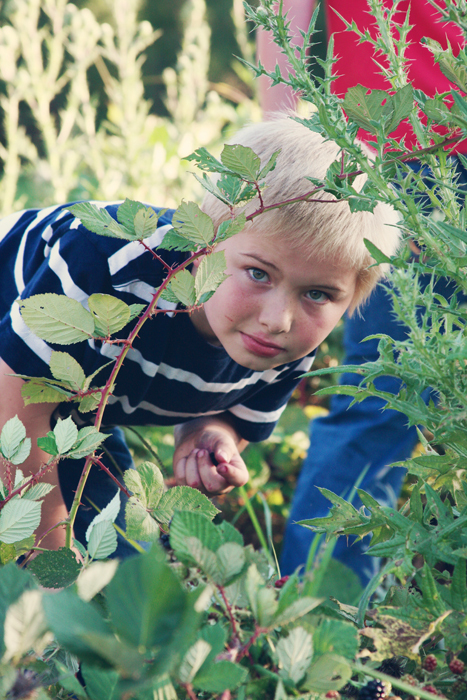 A perfect summer time surprise for the family. Think we'll give it a try. Happy Monday! That pie has me drooling, Maria! I like to make this in the summer when the tomatoes are fresh from my garden! Your children are so cute!! I have to try this pie...yummy! Your children are adorable and that pie looks delicious..
totally cute picture of Austin...and I hope you are doing well!! j'aime aussi particulièrement celle de cette adorable fillette enlaçant ce veau. elle pourrait faire l'oeuvre d'une éventuelle peinture après autorisation bien sûr! A essayer de suite,plein de mures dans mon jardin. That pie looks delicious and I love the dish you have baked it in with the ruffled edges...too cute! Good luck at the fair, enjoy yourself. Well it's about time! FB 'n twitter- haha! just kidding! It's intimidating at first but the lightning fast speed is nice.. 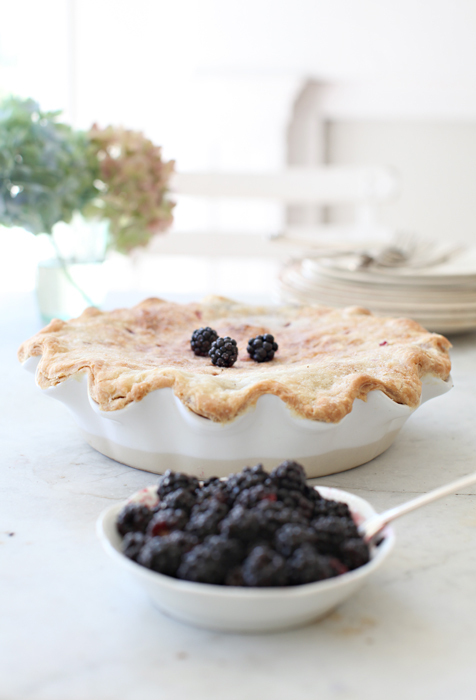 I am seriously crossing my fingers that I get blackberries this year.. that pie looks killer! "just five"? that made me laugh! 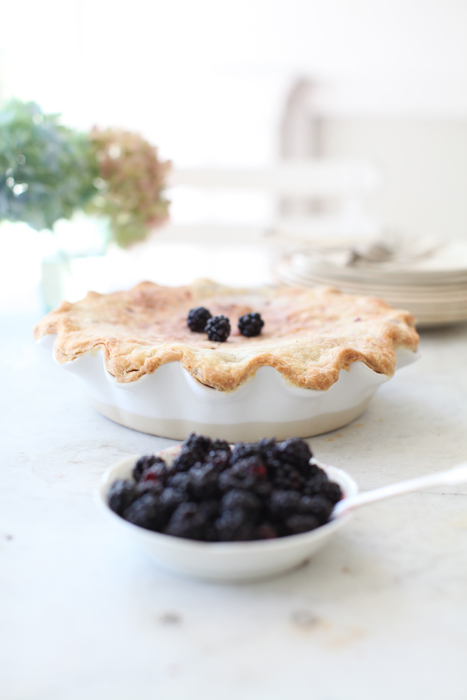 bonjour,comme toujours j'aime beaucoup l'esprit de votre blog..un post sur votre blog sera a l'honneur sur "le calepin de Kate" ..votre recette de blackberry pie est éditée sur mes recettes sucrées ..a voir ?merci pour toutes vos sublimes photos. tiempo para mostrarme tu afecto. .......... te felicito por este post riquisimo!!!!!!! I just love your photos! This pie looks amazing and the pics of your children are sooo charming. mostly because I haven't found a recipe I really love....Will be sure to try yours....Love the photos of Austin and Bethany.. I love this blog!! Such a happy place to come to!! God's blessings to you!!! I would love to win the gift certificate. I enjoy reading your blog. 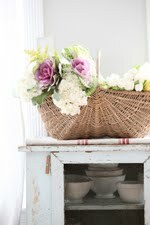 Your blog always provides a dreamy escape in the middle of a hectic day. And you've inspired me drink out of mason jars, too! Thank you! Qué fotos más familiares, son preciosas, enhorabuena por tú blog. Saw some really cool things in your store. Also several great ideas of what you have done recently. Love your blog! I absolutely love your blog. It is informative and quite beautiful. Your children are very lovely. Hi! 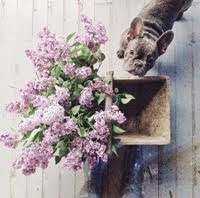 I love your blog-found you through post road vintage. Your pictures are just so beautiful! I just spotted this beautiful pie on pinterest. It's just lovely and I love the recipe. It let's the fruit be the fruit, lol. I love this picture, what a beautiful little girl!